Sen. Len Suzio (center) on Mar. 6 paid a visit to the Meriden-Markham Airport garage to observe the work being done on a light sport aircraft by Wilcox Technical High School students and the local nonprofit flight club Experimental Aircraft Association Chapter 27 (www.27.eaachapter.org). 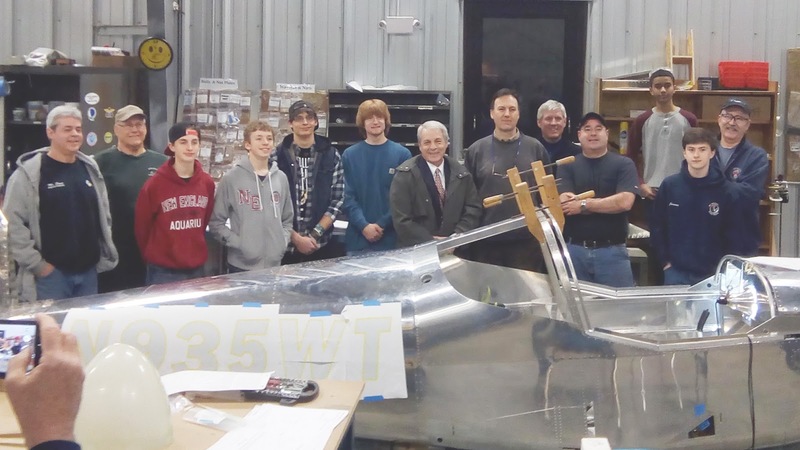 EAA27 has been meeting with a group of about a dozen teens for the past two years, mentoring them as they construct an RV 12, a popular aircraft, from a kit. Suzio praised the students and their mentors on their skillful work. Suzio (www.SenatorSuzio.com) represents Cheshire, Meriden, Middlefield, Middletown and Rockfall. He can be reached at Len.Suzio@cga.ct.gov and at 800-842-1421.